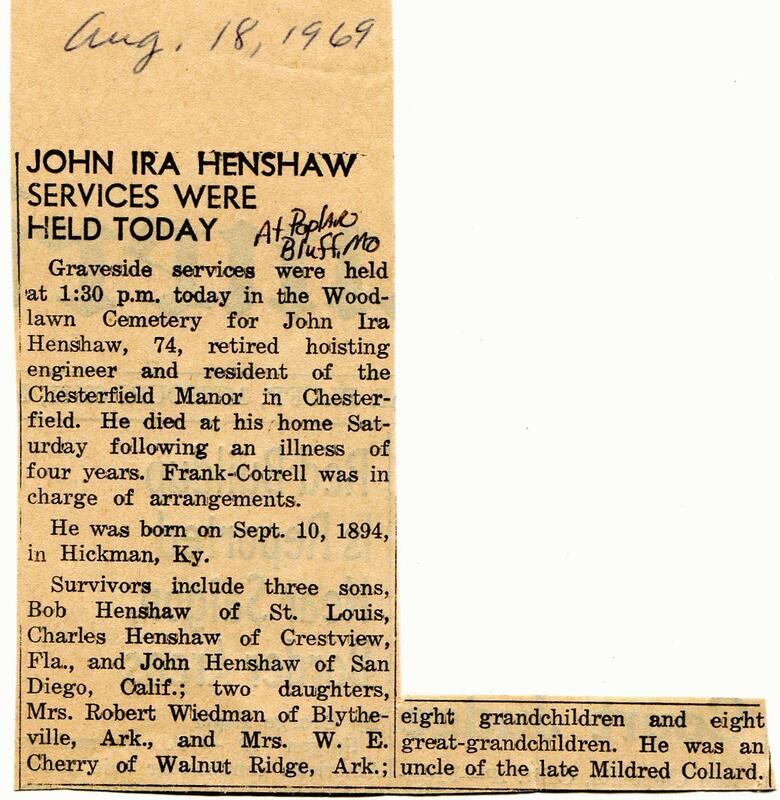 Ira Isaac Hinshaw3,7 [Iry Henshaw2, Isaac Ira Hinshaw8, John Ira Henshaw9, John Isaac Henshaw4]. Henshaw, Iry, head-of-household, age 25, born in Kentucky; parents born in Kentucky; rented home; occupation: coal miner. 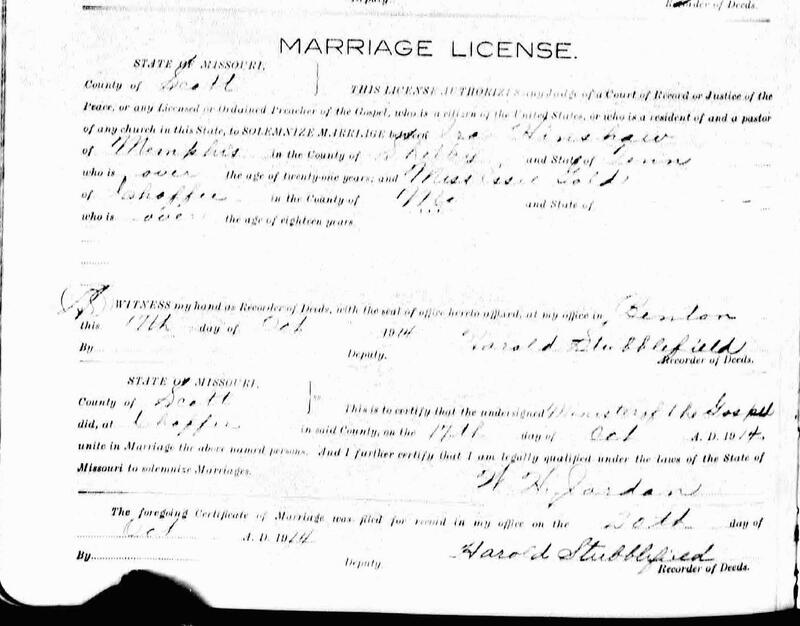 Henshaw, Essie, wife, age 23, born in Kentucky; parents born in Kentucky. Henshaw, Mary E., daughter, age 4, born in Tennessee; parents born in Kentucky. Henshaw, Willow L., daughter, age 3, born in Missouri; parents born in Kentucky. Henshaw, Chester F., son, age 1 year 6 months, born in Illinois; parents born in Kentucky. Henshaw, Charlie A., son, age 3 months, born in Illinois; parents born in Kentucky. Henshaw, Ira, head-of-household, age 27, born in Kentucky; parents born in Kentucky; rented home; occupation: engineer, rail road. 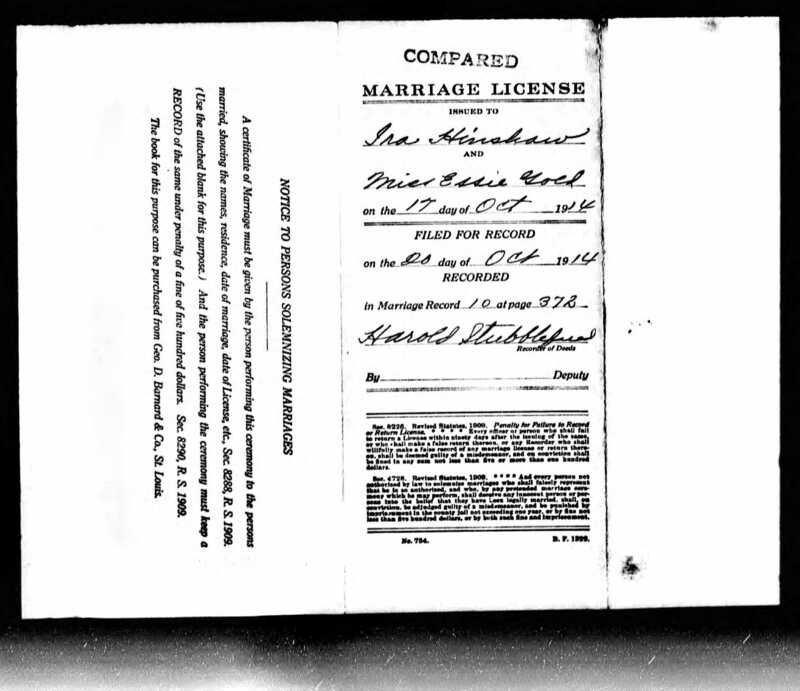 Henshaw, Esie, wife, age 23 [unclear], born in Kentucky; parents born in Kentucky. Henshaw, Mary, daughter, age 5, born in Tennessee; parents born in Kentucky. 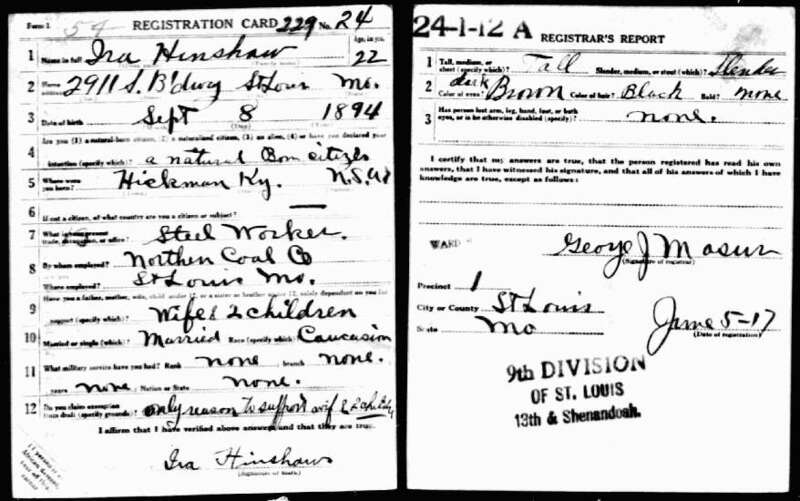 Henshaw, Willia, son [sic], age 3, born in Missouri; parents born in Kentucky. Henshaw, Chester, son, age 2, born in Missouri; parents born in Kentucky. Henshaw, Charles, son, age 4 months, born in Missouri; parents born in Kentucky. Henshaw, Essie, servant, age 33, born in Kentucky; parents born in Kentucky; divorced; occupation: servant, private family. Henshaw, Essie, head-of-household, age 43, born in Kentucky; completed 1 year of high school; on Apr 1 1935 was living in the same house; widow; rented home ($7.00/month rent); occupation: forelady, hot [..unclear..] project; worked 39 weeks in 1939; $395 wages in 1939. 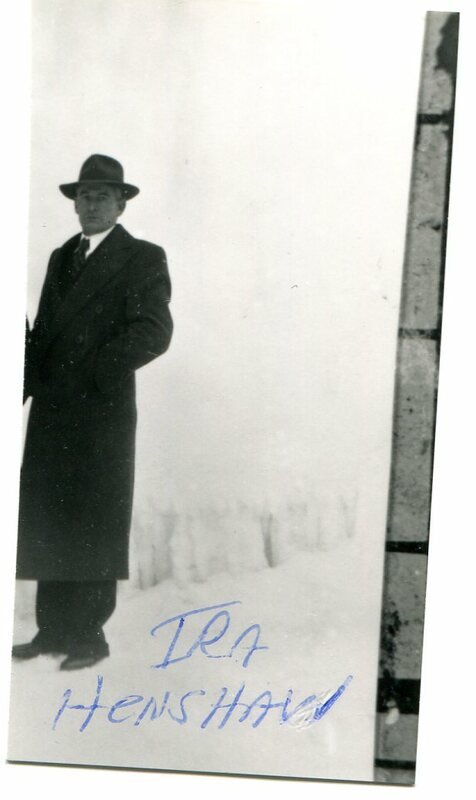 Henshaw, Chales, son, age 20, born in Illinois; completed 4 years of high school; on Apr 1 1935 was living in the same house; occupation: laborer, N.Y.A. ; worked 48 weeks in 1939; $155 wages in 1939. Henshaw, John, son, age 17, born in Missouri; completed 4 years of high school; on Apr 1 1935 was living in the same house; attended school. 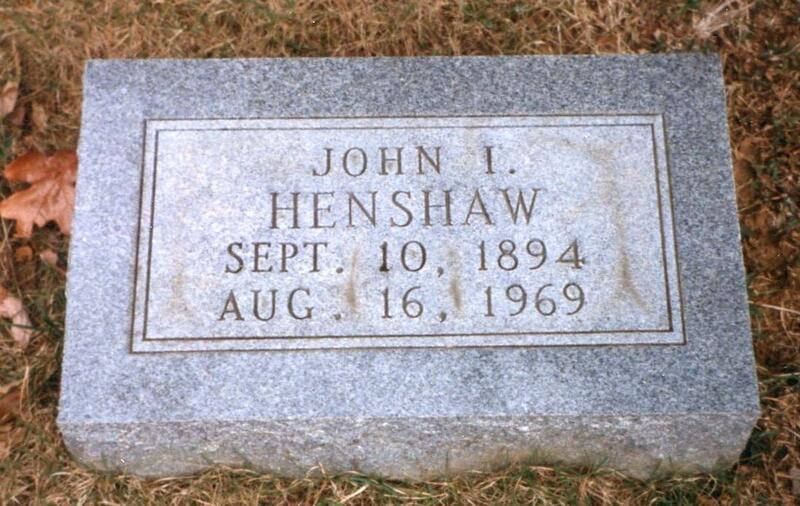 Henshaw, John, head-of-household, age 44, born in Kentucky; completed 8th grade; on Apr 1 1935 was living in the same place/city; rented home ($30/month rent); occupation: const. engineer, bldg, const. ; worked 40 weeks in 1939; $2000 wages in 1939. Henshaw, Almyra, wife, age 37, born in Illinois; completed 2 years of high school; on Apr 1 1935 was living in the same place/city; occupation: operator, dress factory; worked 30 weeks in 1939; $318 wages in 1939. 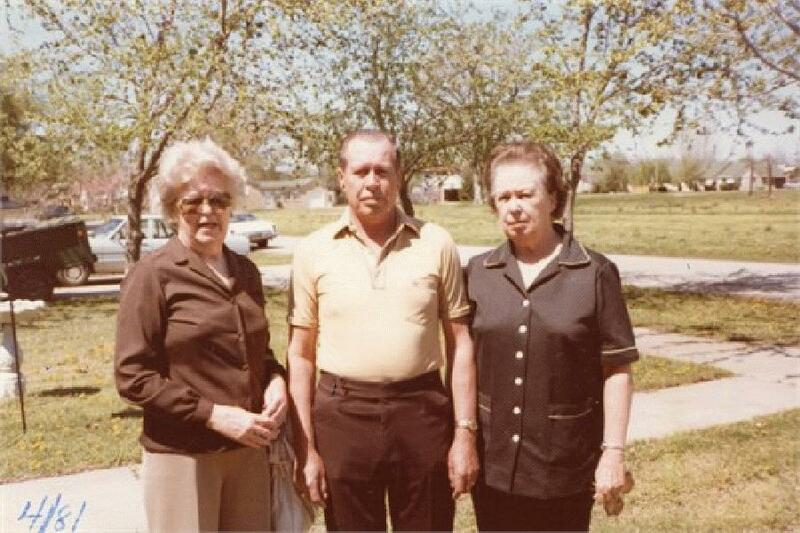 For 15 years after his retirement Ira lived with the family of his niece Mildred Jane Davis Collard. Contribution from Rita Lee Henshaw Randoll. 1920 census, Equality, Gallatin County, Illinois; roll T625-369, ED 34, page 14A, line #37, dwelling #282, family #307. Contribution from Bill Collard (). 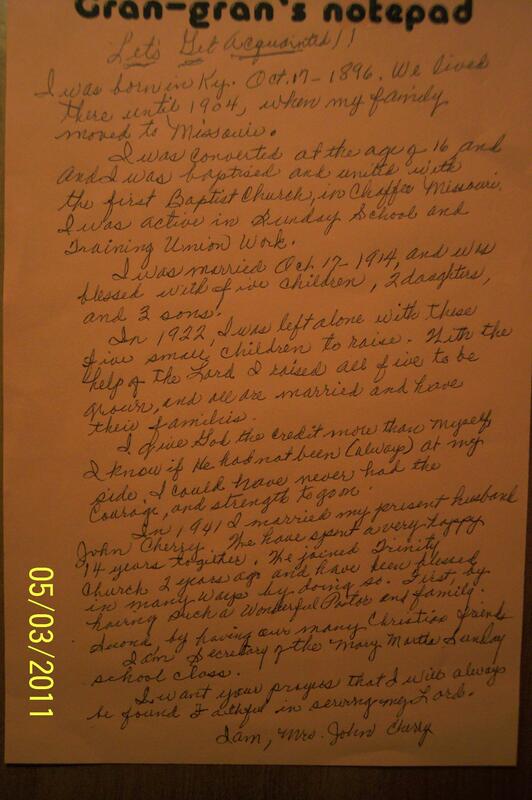 1940 census, Chaffee, Scott County, Missouri; roll T627-2157, ED 101-5, page 10A, line #36, household #204. 1910 census, 3rd Magisterial District, Fulton County, Kentucky; roll T624-477, ED 61, page 89B, line #97, dwelling #241, family #247. 1900 census, Sassafras Ridge, Fulton County, Kentucky; roll T623-521, ED 45, page 2B, line #54, dwelling #35, family #45. 1900 and 1910 census, Sassafrass Ridge, Fulton County, Kentucky. 1940 census, St. Louis, Missouri; roll T627-2196, ED 96-374, page 62A, line #12, household #92. 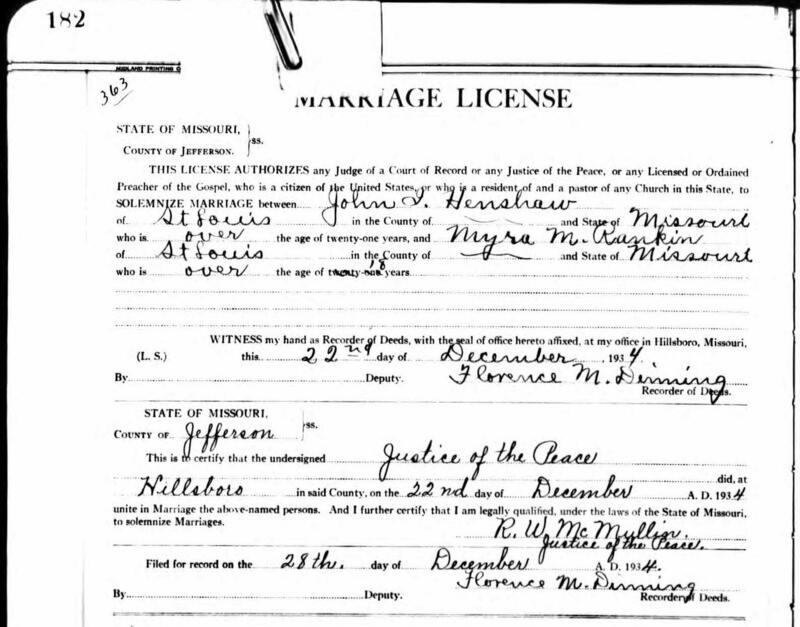 Missouri Marriage Records, 1805-2002; http://www.ancestry.com. 1930 census, Chaffee, Scott County, Missouri; roll T626-1247, ED 4, page 23A, line #29, dwelling #533, family #535. Ancestry Family Tree data "Gold Family Tree" posted by "scottagold00". Ancestry Family Tree data "Weidman Family Tree" posted by "jimwdmn". 1920 census, Kelso Township, Scott County, Missouri; roll T625-962, ED 189, page 26B, line #82, dwelling #557, family #558. Ancestry Family Tree data "Collard Family Tree" posted by "Collardb". Ancestry Family Tree data "HINSHAW Family Tree" posted by "sharonahinshaw".